I get a few more seconds of my 15 minutes of fame checked off. 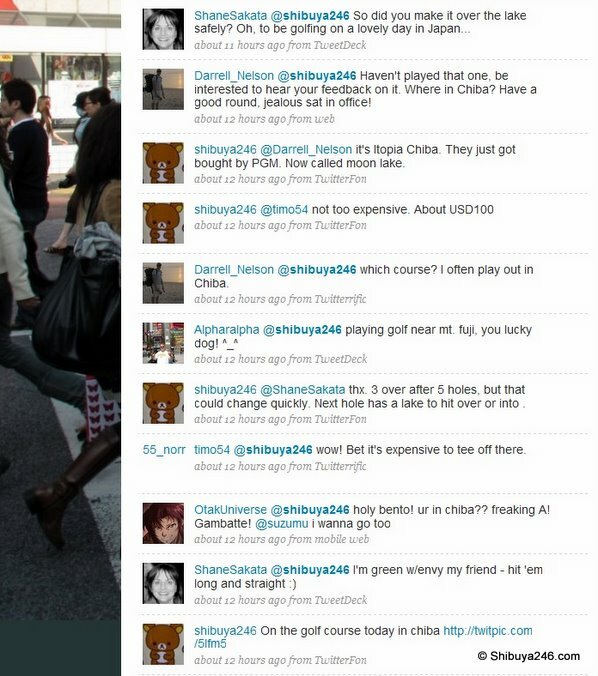 I was on Twitter the other night when @shibuya246 tweeted that he was playing golf in Chiba (a prefecture of Tokyo for the uninitiated). His pic included Mt. Fuji so I replied back that he was a lucky dog to be playing golf near Mt. Fuji. He took a screenshot of the replies so I got immortialized in a popular blog. Yippee! Shibuya246’s coverage of the golf outing and speeding ticket afterward are funny to read.